The racing world has lost another of its all-time greats. Jim Kropfeld, a five-time inductee into the prestigious APBA Hall of Champions, passed away on January 3, 1999. 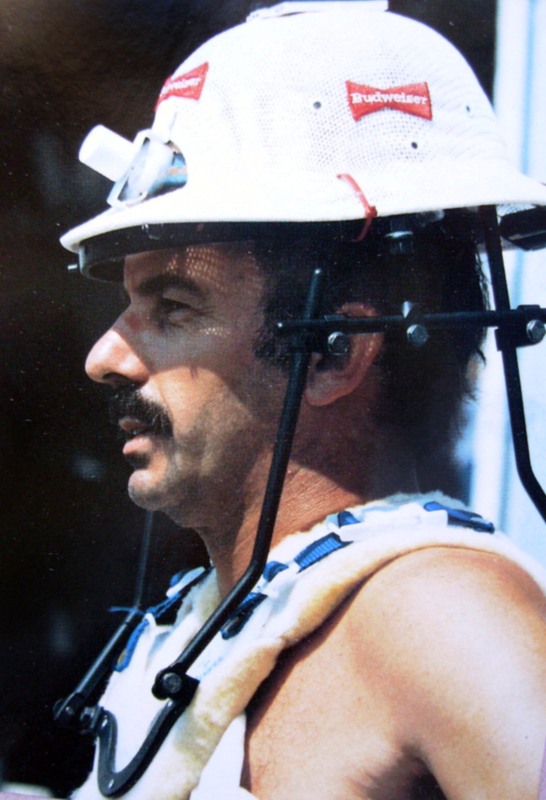 A resident of Cincinnati, Ohio, Kropfeld had been battling cancer for several months. Jim drove Unlimiteds from 1982 to 1990. He won twenty-two races for the Miss Budweiser team between 1983 and 1989 and was National High Point Champion in 1984, 1986, and 1987. In 1987, Kropfeld was the first to average over 155 miles per hour on a closed course with a reading of 155.172 in qualification at the Tri-Cities (Washington) Columbia Cup. He once said, "I do boat racing because I love it. I can't imagine not being involved in racing. I don't think that there are many things more fun than running deck-to-deck with someone. "Racing is kind of second nature to me. It's all reflexes. If you have to stop and think about what you're doing at 180, 190, or 200 miles per hour, it's all over with. The opportunity has passed. You need quick reflexes and a lot of experience to be successful. I approach the sport as basically a seat-of-the-pants driver." Kropfeld's first contact with competitive power boating occurred in 1961, when he worked as a crew member on a friend's Limited inboard hydroplane. He drove in his first race in 1964. In later years, Jim liked to poke fun at his own lack of early success in racing. Still, he must have done something right, because by the late sixties he was swamped with offers to drive. Together with his brother, Tom "Butch" Kropfeld, another great driver, Jim carved an enviable reputation for himself in a variety of boats on the tough Mid-West Limited circuit, which has been a proving ground for many of the sport's top competitors--Bill Muncey, Dean Chenoweth, Ron Musson, Bill Sterett, Bill Cantrell, and Marion Cooper among them. In analyzing his early career, Kropfeld pointed out, "When you are racing back in the pack on the Ohio River, you are running in about the worst water conditions you will ever find. "Some things become programmed into your mind and body. You become one with the boat to survive. And when you finally get into a competitive rig, that oneness with the boat gives you an extra edge. "I drove just about anything that would float when I first started. I didn't do much winning, but I gained so much experience that it was really worth it." By the late 1970s, Jim's competitive prowess was well known. As driver for the highly successful Country Boy racing team, Kropfeld had some memorable encounters on Seattle's Green Lake with future Unlimited Class luminary Steve Reynolds in the 225 Cubic Inch Class White Lightning/Pay 'n Pak. At the 1982 Spirit Of Detroit Regatta, Jim won the Grand Prix Class event, which was run between heats of the Unlimiteds, at the wheel of Miss Danash. His performance was the closest thing to perfect and did not escape the eye of Miss Budweiser owner Bernie Little, who offered Kropfeld his heartiest congratulations and best wishes. After the death of Dean Chenoweth a few weeks later at the Tri-Cities, Little offered Kropfeld the seat in the Rolls-Royce Griffon-powered "Beer Wagon," and a new star was born. Jim qualified as an Unlimited driver on San Diego's Mission Bay and then set a world 2½-mile competition lap record of 135.338 on Clear Lake in Houston, Texas. He also came within 900 feet of bagging a World Championship at Houston, only to have his mount sputter heartbreakingly to a halt just short of the checkered flag in the Final Heat. Nevertheless, Kropfeld's performance was impressive enough to merit recognition as Unlimited Class Rookie-of-the-Year for 1982. During a stellar 1983 campaign, Kropfeld and Miss Budweiser established fifteen speed records and won more races than any other team. Jim scored decisive victories at Miami, Romulus (New York), Madison (Indiana), and Seattle. He missed the National High Point crown by a whisker. But Jim would not be denied in 1984, when "King Kropfeld" gave owner Little one of his best years in the sport. The mighty "Beer Wagon" won six out of ten races at Miami, Evansville (Indiana), Detroit, Seattle, San Diego, and Lake-of-the-Ozarks (Missouri). Jim did himself proud, bucking three turbine teams with his trusty Rolls-Royce Griffon. Kropfeld had proven himself as an able successor to Dean Chenoweth by becoming the first Unlimited jockey to win ten of his first twenty-two races. For 1985, Jim was given a new Griffon-powered Miss Budweiser, the famed "Bubble Bud," to drive. The '85 Budweiser was not as fast as her predecessor. But she was the first to seat her driver "indoors" under an enclosed safety canopy. And Kropfeld was still able to win two races with her--at Syracuse and San Diego. By 1986, the Unlimited Class had entered its turbine era. The days of the World War II piston packers were gone forever. To the surprise of no one, Jim Kropfeld made the transition to Lycoming turbine power with ease. Hardly anyone expected the Miss Budweiser (Turbine-1) hull to be much more than a test vehicle. The craft was terribly difficult to drive through the turns. And yet, "Turbine-1," which had failed for her previous owner, outscored the rival beer boat, Miller American, by the narrowest of margins--thirty-one points--and won yet another season championship for her corporate sponsor, Anheuser-Busch. Kropfeld won three races in 1986 (at Miami, Evansville, and Las Vegas) and set a world 2-mile competition lap record of 138.328 at Syracuse. Moreover, in winning the 1986 "Thunder On The Ohio" event at Evansville, Jim treated the fans to one of the great shoot-outs in Unlimited history. Four boats--the Budweiser, the Joe Ricci Spirit of America, the Miss 7-Eleven, and the Miller American--ran on the same quarter of a lap with each other for the entire five laps of the Final Heat. Those four boats finished within twelve seconds of each other, with Kropfeld taking the checkered flag and victory. From a competitive standpoint, the race was simply superb. During 1987, Jim was overwhelming in the new Miss Budweiser (Turbine-2). He won five out of seven races entered with her, finished first in fourteen out of twenty heats entered, and set the world lap speed record at 155 miles per hour. The team scored victories at Miami, Evansville, Madison, the Tri-Cities, and Seattle. A bad accident at the 1988 season-opener in Miami with "Turbine-2" temporarily derailed Kropfeld's driving career. He suffered a neck injury when Scott Pierce and Mr. Pringle's collided with Miss Budweiser in the first turn of the Final Heat. The F-16 safety canopy, which Ron Jones and the Budweiser crew had pioneered with "Turbine-1," was credited with saving Kropfeld's life. "The injury was very serious," Jim recalled. "My top vertebra was fractured. I was very lucky. "The enclosed cockpit is one of the things that I'm really proud of during my time in the sport. It's not only saved me several times, but it will have an impact on the entire sport. Other categories of racing are now picking up on it." 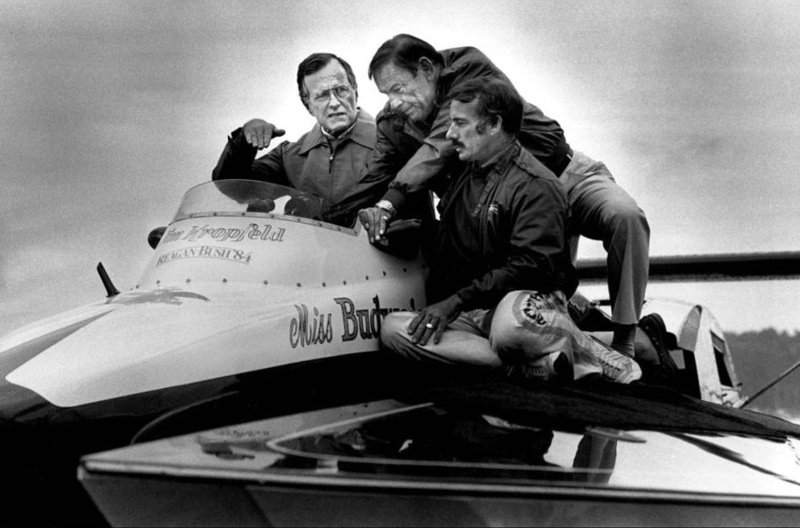 After months of traction, therapy, and exercise, Kropfeld returned to the Miss Budweiser's cockpit a year after the accident. He won two out of five races (at Houston and Madison) with the new "Turbine-3" before leaving the team in July of 1989. The following year, he married Miss Budweiser director of public relations, Bonnie Anderson. Jim's final season with the Unlimiteds was in 1990 as an interim driver for Steve Woomer's Winston Eagle. He handled the experimental Winston Eagle "Lobster Boat" at a couple of races. But this craft failed as a competitor and was quickly retired. For the balance of 1990, Kropfeld saw action with the former Miss 7-Eleven hull, which had obsolete sponsons. To Jim's credit, he finished second at San Diego and Las Vegas and third at Evansville, Madison, and Kansas City. His Thunderboat career a memory, Kropfeld returned to his first love, the Limited inboards, but left most of the driving to his son, Scott Kropfeld, a top Grand Prix Class chauffeur. Jim did drive a few heats in 1995 with Country Boy, an Unlimited Light hydroplane. When not lending a hand to Scott's racing efforts, Jim concentrated on his Cincinnati-based Tri-State Muffler shop, which he and his first wife Lise started in 1979. Kropfeld had previously worked for many years with General Motors as a die maker and designer. In August of 1998, the name of Jim Kropfeld was added to the Unlimited Hydroplane Hall of Fame, a most deserving honor for one of racing's immortals. Jim's passing leaves a void that can never be filled. A dynamic, no-nonsense competitor out on the race course; a quiet, congenial gentleman off of the race course. He will be missed.